SEO or search engine optimization is a technique used by people to increase their website ranking to make it visible to more users. Google and other search engines are majorly focusing on quality to make sure that the users get relevant and good result when looking for information. 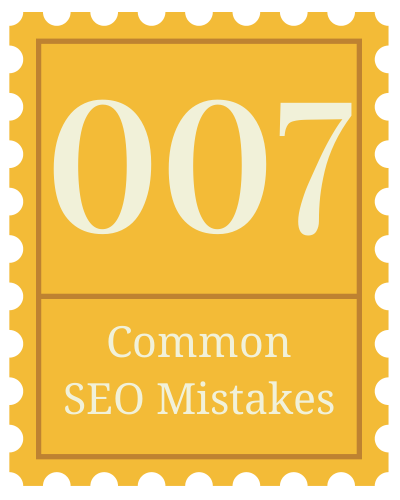 This makes SEO very important and here are some mistakes that people commonly make because they are not aware it. Selecting keyword is the first and the most important step when it comes to optimization. Mostly when we plan to do SEO for our website we select words that we like and feel that might attract others too. But, this is not true. Something you feel is good for you may not be that important for others. Before selecting keywords you must make proper search and then make sure that your selection is relevant to your content. Most people feel that keyword is very important for optimizing and they keep using it again and again. This is the most common mistake that most of us do, but the truth is that keyword is the backbone when you think about increasing web ranking, but its overuse might have adverse effect. If the mistake is once or twice then the mistake will just effect your position, but if it is repeated then there is a chance that the search engine will penalize you and also blacklist your site permanently. After the panda and penguin issue Google has become very strict about content quality and its originality. Whatever you write to improve the ranking of the site must not be available anywhere when the Google scrolls. There was a time when people used to just copy paste information from various sites and promoted their site, but now is the world of uniqueness. Your content must be original with proper use of keyword so that it is visible to the users. Title plays a very vital role when it comes to SEO. Normally when people promote some brand they use it in the title. But that does not help increase ranking. Many people must be aware of your brand or companies name. The title that you select must reflect the USP of your company or site. Your page must be tagged properly because Google will know about the content available in your page through the tags. Most of the people confuse tag with the title. Tags are words that will show up on the top of your browser when saved. If you plan to optimize your site then make sure that the content is based on the USP of your website. Many people write content on various subjects, but that is just personal blogging. You cannot increase web ranking by writing on various subject. For example, if you have a SEO firm then the website must have different topics on SEO, like its importance, mistakes, how you can promote your website etc. So what your take on this ? Did I miss anything ? Just in case if you want to admit then let me update if you commit anyone of them in past. Good Point, I will keep in mind these. Thanks for Sharing.